Live Well MD strives to promote health and well being to all of our clientele through the utilization of proven programs that include all approaches to medical care. The most current data and research as well as clinical experience are utilized to the fullest extent to enable a better quality of life. Proactive and Preventative Medicine philosophies are the guiding lights through which these goals are achieved. 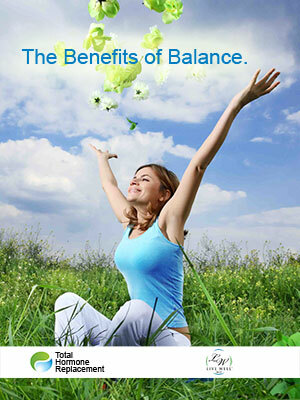 Complete hormonal balancing is included in our programs as a core concept of optimizing an enhanced quality of life. The medical system today has made remarkable advances over the last 20 years. Cures, treatments, research, and diagnostic tools have become extremely sophisticated and complex. The people behind these advances are to be highly praised. Their heroic acts have saved countless lives. However, one extremely important aspect of our medical system has been consistently ignored or remains inadequately addressed. This area is one of the most obvious and probably this is the reason that it is overlooked. The one, all important tennent is that the medical system is based on reactive medicine not preventative medicine. Put simply, you have to be ill to get treatment and receive the benefits of modern medicine. Live Well MD physicians do not wait for illness to strike. We have a commitment to the prevention of illness and natural hormonal balancing is the key. The key to prevention of many disease states and the key to promoting the quality of life you deserve. This is the focus of Live Well MD. LIVING HEALTHY! This is what Live Well MD can do for you! Gary C. Bernard MD has that different vision. He, and other progressive medical thinkers, have realized the core and essential key of initiating truly proactive and preventative medicine is achieved by balancing the body’s hormones. Hormones direct your body’s functions in almost every aspect telling it what to do. Complete evaluation and balancing of these crucial substances helps to create a healthy body and mind enabling a better quality of life in a real proactive and preventative approach. CLICK HERE TO FIND A LIVE WELL MD PHYSICIAN NEAR YOU.